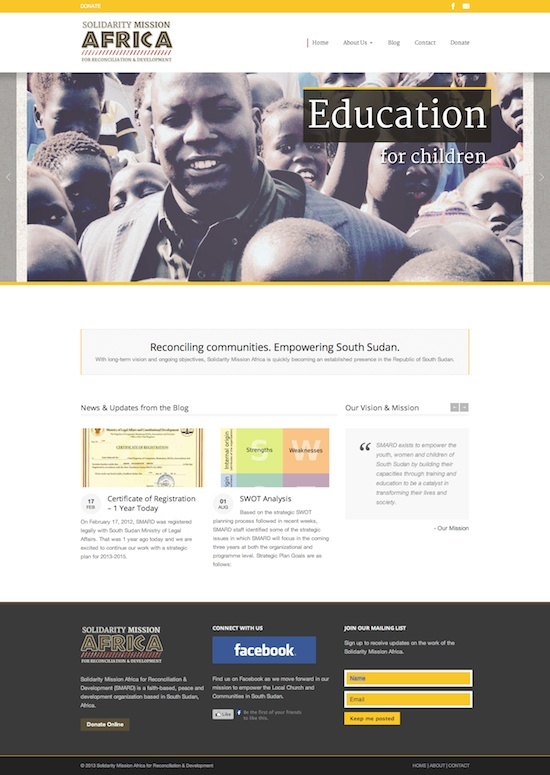 The site for South Sudan’s Solidarity Mission Africa for Reconciliation & Development (SMARD) was a complete build from concept (colors, logo, content) to creation. I ended up picking the theme Super Spark by GoodLayers. 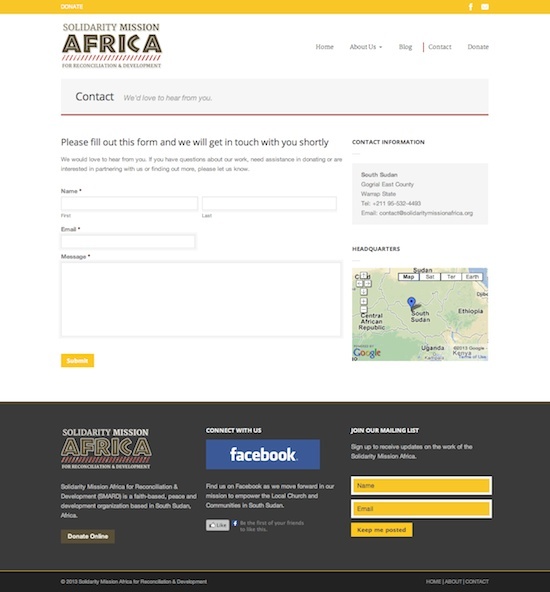 Plugins used include Gravity Forms and two of “Add-ons” for MailChimp and PayPal. 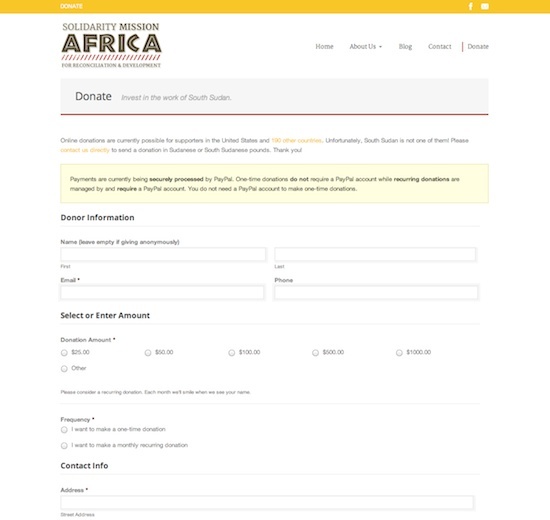 The Donation form was a first for me. Same with the Layer Slider. Also used for creating HTML tables on the Leadership Page was TablePress. The project was complete in May 2013. 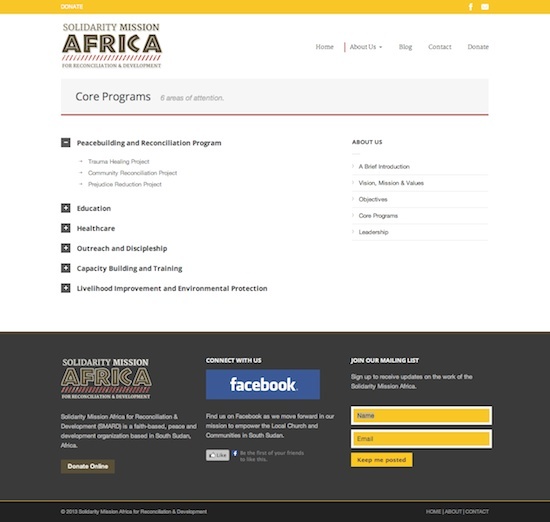 UPDATE: A new logo and name have been given to this project: Solidarity Ministries Africa. This was completed in September 2014. 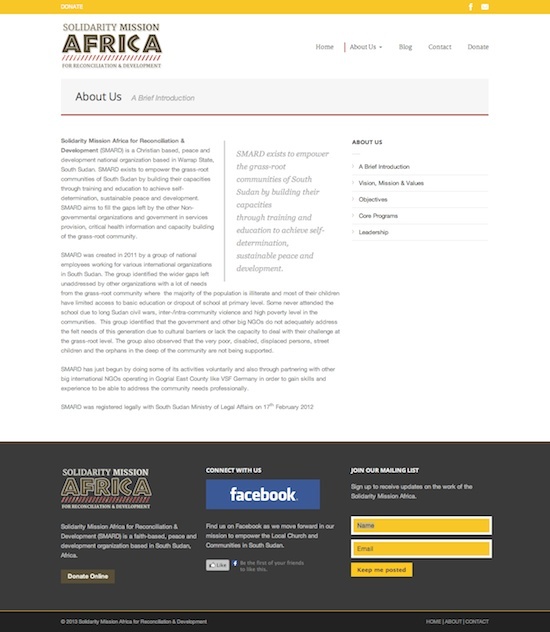 The Solidarity Mission Africa is a Non-governmental Organization based in South Sudan. This project aims to help them communicate with supporters in the States and around the world as they work towards their Vision and Mission.